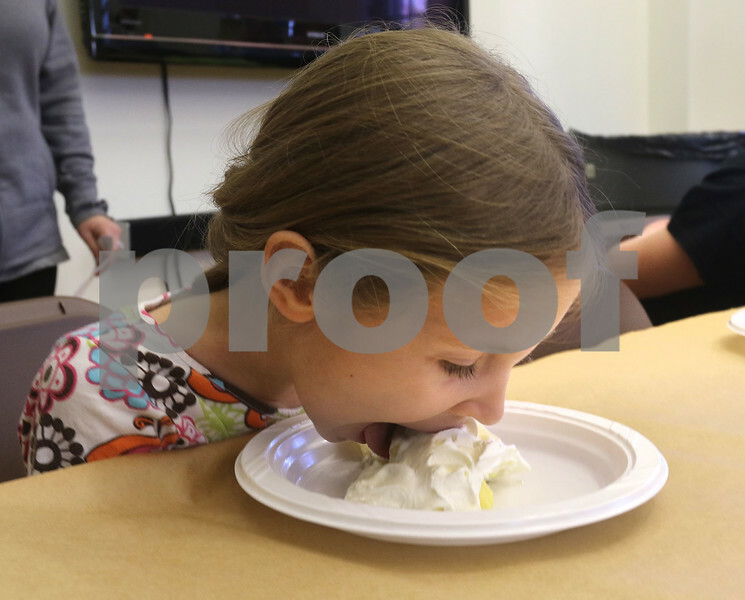 Lillian Cook, 6, from Sycamore, participate in a pie eating contest Wednesday at the Sycamore Public Library in honor of Pi Day. March 14 is celebrated as Pi Day because the numerical value of Pi is 3.14. The pie was donated by Sycamore Parkway Restaurant.